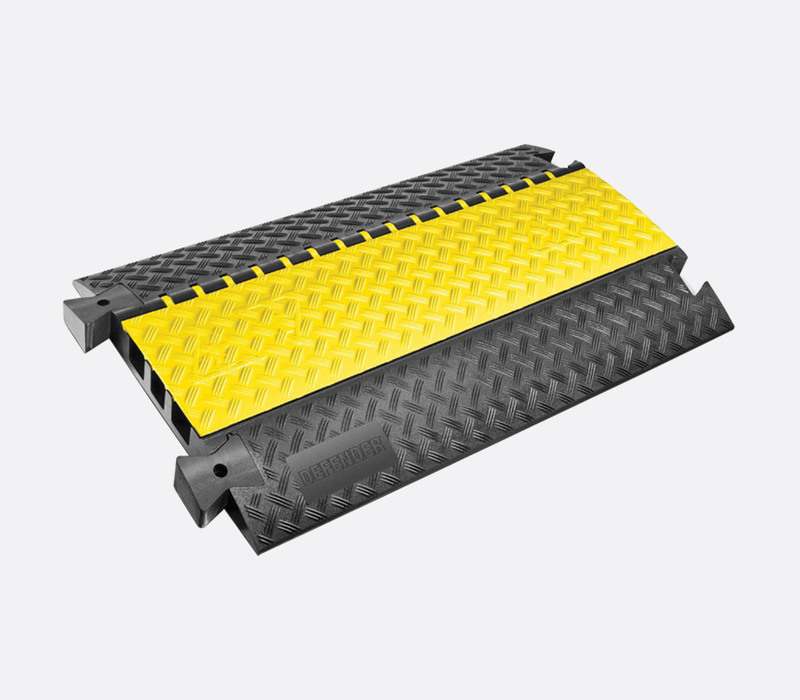 These heavy-duty cable crossovers are for use across roadways and walkways and open venues, in fact anywhere that cables are left exposed in hostile environments such as construction sites, warehousing, carnivals, exhibitions and music events. 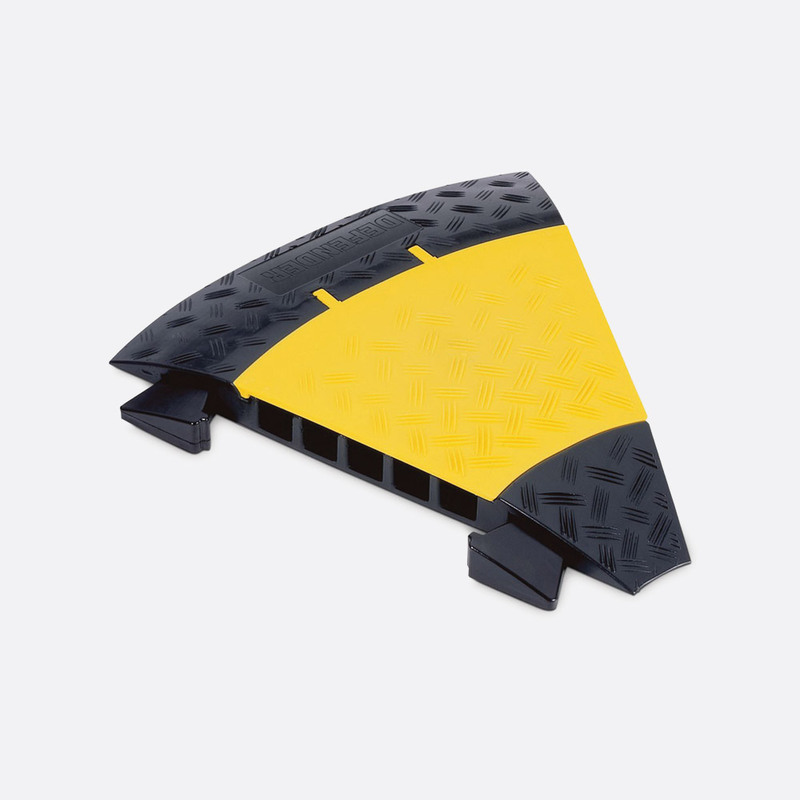 Coloured black and yellow for high visibility and consequently maximum public safety, the top surfaces have anti-slip treads with no ridges or crevices to trip a pedestrian. 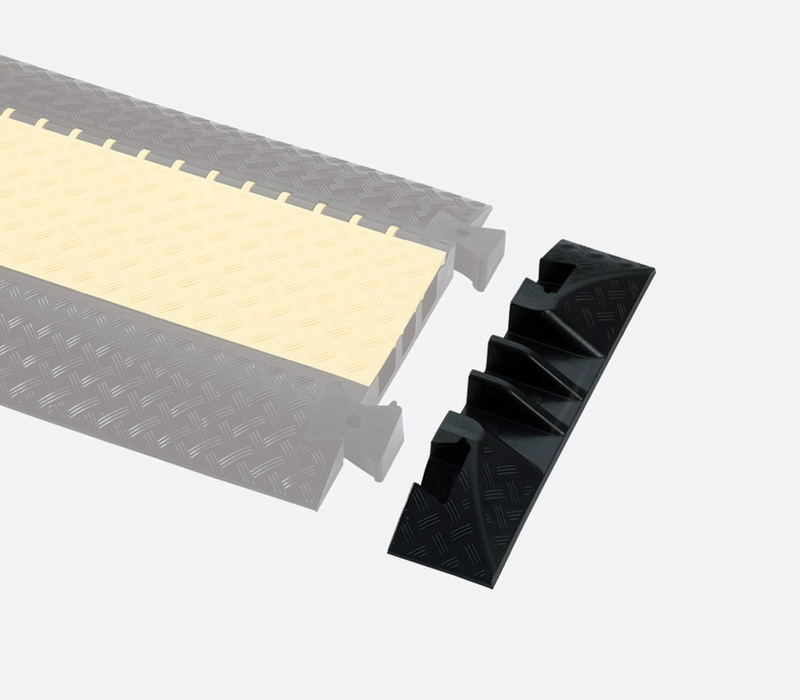 Each section interlocks using removable connector plugs to make continuous lengths, and will withstand vehicle loadings (from a typical 200mm x 200mm tyre imprint) of up to 5 tons so even the largest articulated truck can pass over safely. The body of the crossover is manufactured from pressure-moulded polyurethane, which has a non-skid top surface and bottom, even when wet. 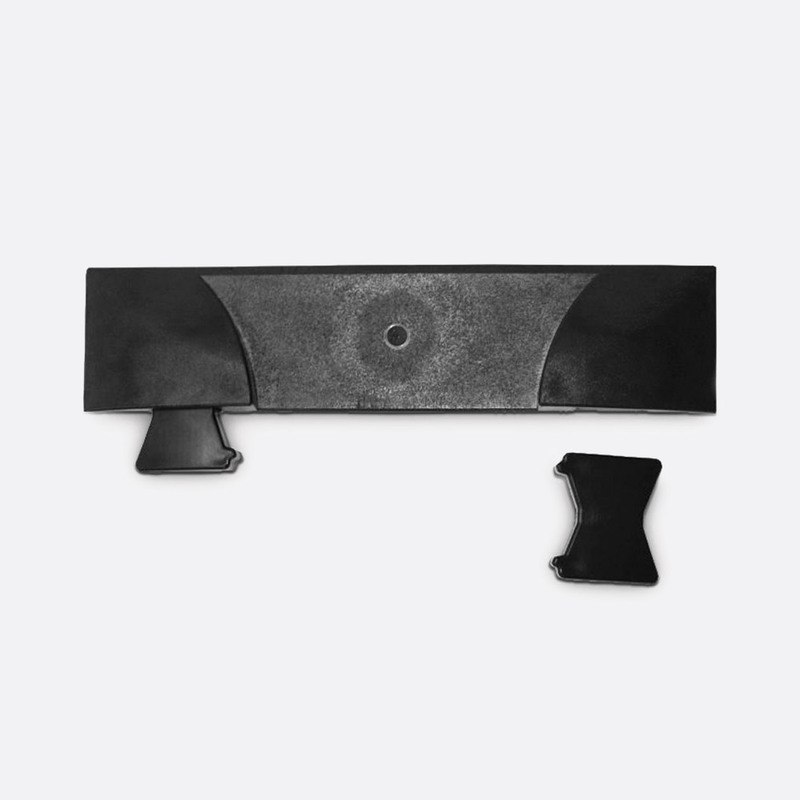 The lid is moulded polyethylene, which is highly durable in extreme weather conditions and has a patented self-cleaning hinge that omits internally collected dirt to retain a clear track. With a profile height of 73mm this cable crossover has three cable channels, one (the centre channel) measuring 45x50mm and two measuring 52x49mm. A load-bearing capacity of five tonnes per 20cm sq. and class B2 (DIN 4102) fire resistance, along with resistance to oil, acids, solvents, and petrol ensure safe crossing for both pedestrians and vehicles. The Defender 3 series consists of the 85002 straight section measuring 1000 x 600 x 73mm (LxWxH), 85009 45-degree curve, 85008 end ramp and 85002LUX straight section with a semi-translucent lid measuring 1000 x 600 x 73mm (LxWxH). The semi-translucent lid of the 85002LUX allows the user to insert LED lighting strip into one or more of the channels to illuminate the crossover section for extra visibility and safety. Additional 85004 connector plugs are also available to fit the Defender 3 series cable crossover protection. As they are removable, it is not necessary to replace an entire crossover because a connector lug was ripped off. The Defender MIDI 5 has many of the same features as the Defender 3 series, however it has a lower height profile of 52mm and has five cable ducts. 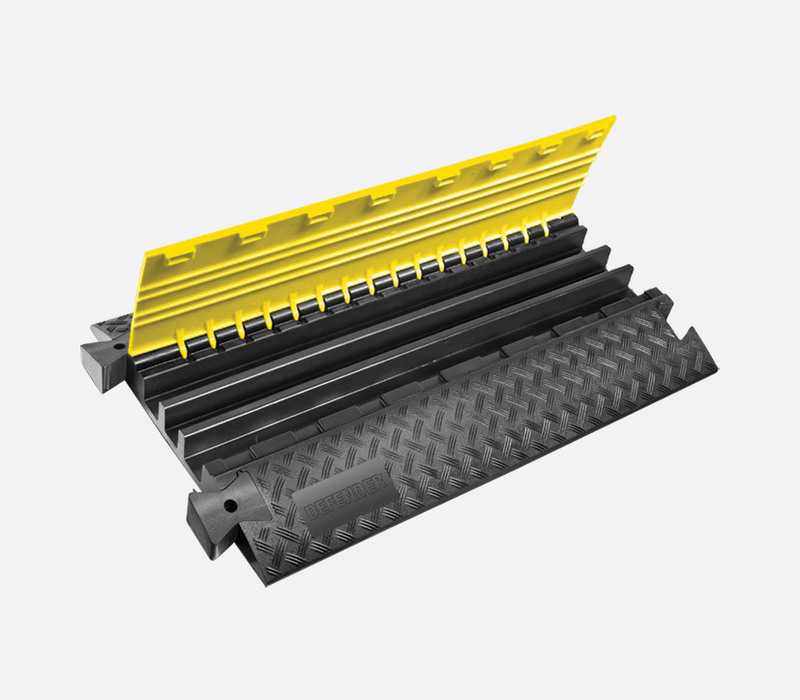 Each of the five channels are 34 x 36mm and are protected by a hinged, yellow polyethylene lid. Like the Defender 3 series, the Defender MIDI 5 has class B2 fire resistance and is resistant to oils, acids, solvents and petrol. It has been tested to have a load-bearing capacity of 5 tonnes per 20cm sq. The Defender MIDI 5 series consists of the 8530 straight section measuring 890 x 542 x 52mm (LxWxH), 85340 45-degree curve, 85308 end ramp and 85300LUX straight section with semi translucent lid measuring 890 x 542 x 52mm (LxWxH). 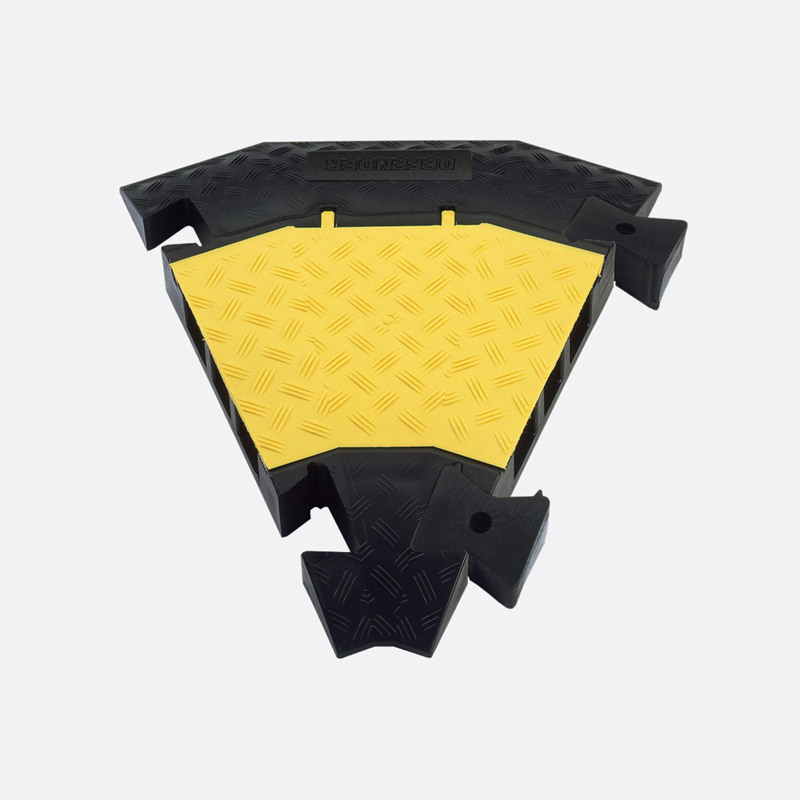 The semi translucent lid of the 85300LUX allows the user to insert LED lighting strip into one or more of the five available channels to illuminate the crossover section for extra visibility and safety. 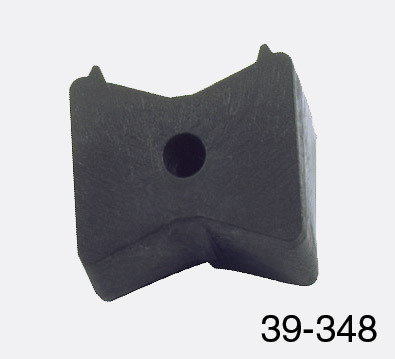 85304 replacement/spare connector plugs are also available as an optional spare part.